Read the 2018/2019 magalogue here! PREIMUM is our luxury collection with even better comfort, even better safety features, even better durability and – of course – our special lifetime warranty. You can find Hoppekids in many different webshops and stores. 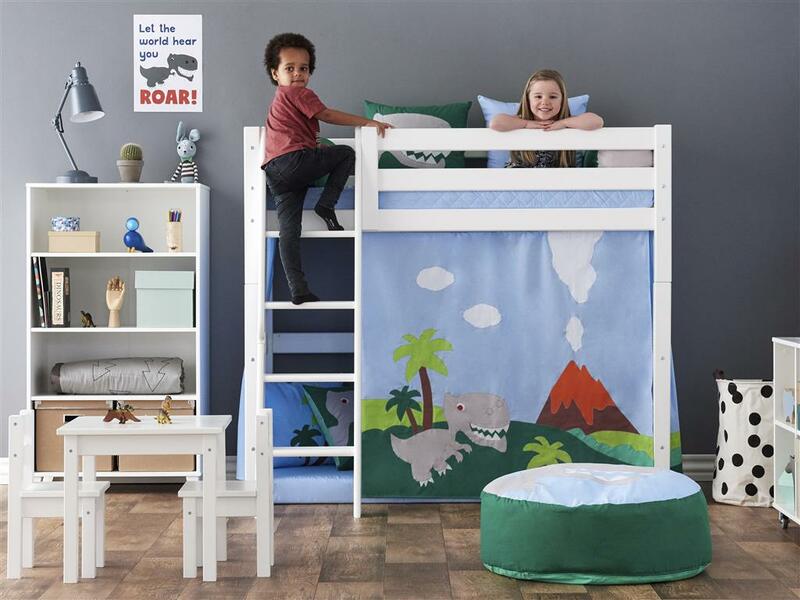 They’re ready to help you find your perfect Hoppekids bed! Join us on a journey through the Hoppekids Factory and explore in 5 short videos how your bed is produced; from the wood being cut down and until your bed is on its way to you. 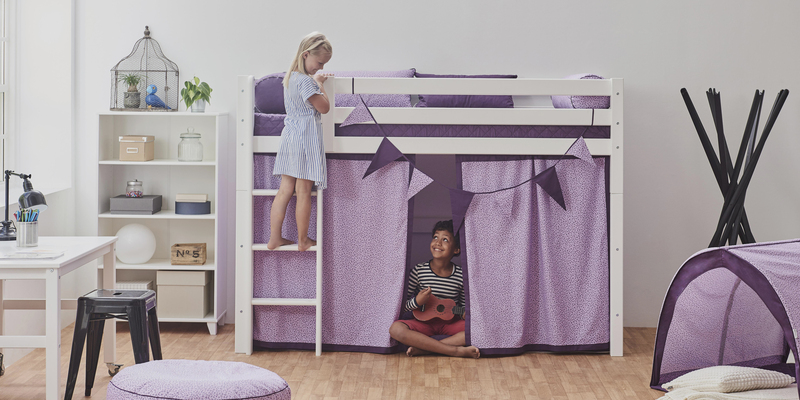 To us, a child’s room is so much more than a room full of furniture. It’s the safe base from which your child explores the world, learns about big and small things and let their imagination run free. It’s also the place where your child finds peace and comfort and where the good sleep plays an important part. Hoppekids’ mission is to create safe, imaginative and flexible furniture which can fit into any children’s room. A child’s room isn’t merely a room with furniture in it, just as children’s furniture isn’t just things fulfilling a practical need. 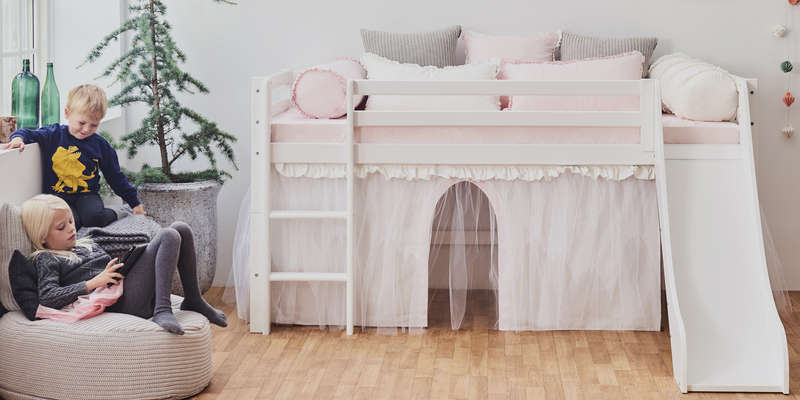 Children’s furniture must be able to serve as a spaceship, fairytale castles, adventurous caves, workspaces and a cosy reading nook. They must be suitable for playtime – both alone and with friends – learning and sleep. At the same time they must be so safe and durable, that Junior will have a loyal companion throughout all of childhood’s adventures.